Everyday we see articles about how awful the world is, the problems–unemployment, violence, homelessness, bad laws… And we sit there and feel depressed, and yet, we do nothing. Day after day after day, we do nothing. Why? Why don’t we do something to change the world we live in for the better? Why don’t we solve our problems, and the world’s problems? We live in a state of learned helplessness, where we assume that things that we haven’t done before, and that none of our close friends has done before, are impossible. We look and think, “that’s impossible,” and then we don’t even try. We never even take the first step, which is sad, because, as Woody Allen is famous for saying, “Eighty percent of life is showing up.”Once you show up, reaching your goal is often so much easier that you thought was possible. I personally know a girl who started a girls’ camp when she was 18. She wanted it to happen, and instead of wishing for someone else to do it, she decided to see what it would take. She made it happen. I know also know a man who decided to run for state representative. He did the work—went to the parades, talked to people, published his campaign literature—and won by a large margin. He said he thought it would be much harder than it was. You’ve perhaps heard that the first step is the hardest. It’s not quite accurate. The hardest thing is deciding that taking the first step is not only worthwhile, but also possible. Look no further. 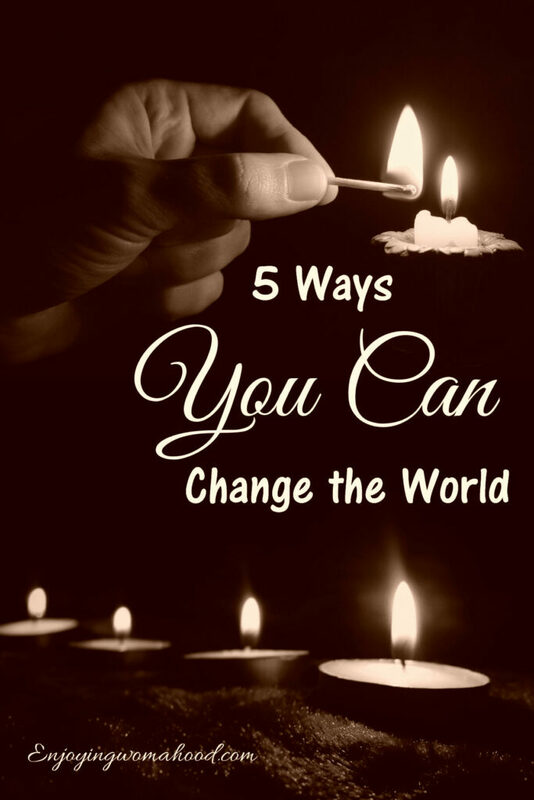 Here’s five small things that you can do, this month, that will help those around you, and that could be your first step towards a long life of transforming the world for the better. This sounds great, but meeting your neighbors can be harder than it seems like it should be. Sure, you see them as they go from house to car, and from car to house. You may even greet them. But do you actually meet them? Do you get to know them and trust them? There’s a few ways you can try to meet your neighbors. One is to bake cookies and try to bring them over to the houses nearby. I tried this, however, and I couldn’t get anyone to take them. The people who were home were afraid to get fat. It was rather discouraging. I did get someone to accept a squash from the garden, though. I might try it again sometime, and see if it works better. This summer we tried having a barbecue and inviting people. We got four people to show up, one of whom wasn’t technically a neighbor, and we had a lovely chat while trying not to be eaten alive by mosquitoes. (Perhaps spring or autumn would be a better time for such an event.) The neighbors who came were happy about it and said they thought it was a great idea and they should do something like it sometime. Not bad results for a few dollars spent on hotdogs and hamburgers. We will definitely do it again. We’ll try other things too. Building a culture of community connection takes time. I’ll update you on our progress. When Lenin and the Bolsheviks took over Russia in 1917, they were only a tiny minority of the country and had no official position of power. But they shared a vision, and this shared vision allowed them to transform a huge and populous nation. One of the best ways to share a vision with others is to share your reading with them. Think of the influence Uncle Tom’s Cabin had in ending slavery in the United States. Fiction has many benefits that non-fiction lacks. Read our article about that here. And find some good books to start with here. Non-fiction can also be very valuable. Some self-help books, like Dale Carnegie’s famous How to Win Friends and Influence People have changed hundred’s of people’s lives for the better. Other books teach valuable skills, or bring awareness of problems that need to be solved. Passing on the lessons learned from books and other media is one of the best ways to contribute to whatever cause you are interested in. Besides, it lets you hone your interpersonal skills, and broaden your network, which are important skills if you want to get anything done. If you look around you neighborhood, you will probably find that there are already several organizations out there making a difference. Homeless shelters, food banks, and aid organizations fight poverty every day. Other organizations try to combat loneliness, especially among senior citizens, by working with older people in communities and spending time with them. You can volunteer with these charities and others to make a small difference in your community, and a big difference in the lives of the individuals you help. Volunteering can also benefit you, by giving you valuable experience. Working with people who need help and who are outside your own circle makes you a deeper and more informed person. Perhaps none of the organizations in your area sound like your kind of thing? You should still consider joining one of them, if only for the training you will get. Most of us, when we think of politics, think of presidential elections. Millions and millions of people, party politics, and impressing all the right people. It seems impossible to have any influence on national politics. Sure, you vote, but your vote seems like a drop in the ocean, scarcely capable of making a difference. But in local politics the story is different. On the town or county level, it is quite possible to influence elections and nominations. Here are a couple ways of doing it. Join your local party’s organization. These are usually very small groups of people who run their party’s business in that county or district. They plan conventions, raise money for candidates, and campaign for them. Joining is often as easy as showing up and being willing to work; even if you are not officially made a member of a board or committee, you will almost certainly be welcome to sit in on meetings, if you are polite and helpful. Once there, you have an “inside view” of politics, and get opportunities to talk to Congressmen and Senators, both on the state and the national level. As a member of these organizations, you are an influencer, and therefore your opinions matter more to elected officials. Go to caucuses, debates, and other political events. Caucuses are local gatherings of people in a political party who influence the party platform and elect delegates who help determine the party’s candidates. Often caucuses are poorly attended, especially when there is not a presidential election, and it is easy to become a delegate simply by showing up and being willing to go the convention. These events also give you an opportunity to contribute ideas to your party’s platform. Not all states have caucuses, but if you live in one that does, it is a simple way to get started in politics. Political debates between candidates are a useful way to become informed about which candidates best support your views, and are also an opportunity to meet the candidates in person; they will try to make themselves available before and after the event, so that they can hear from as many people personally as possible. Many politicians will also host townhall meetings or meet-and-greets, even outside of an election year. Which leads to yet another strategy for helping those around you. Imagine if you could walk up to any person and have an interesting conversation. You’ve probably met someone who can do this, and wished you could do it too. And you can. It’s not as hard as it might seem., and yet fewer and fewer people know how to do it. In a world in which texting and snapchat mediate so much of our “communication,” the ability to talk engagingly in person will increasingly make you stand out from the crowd. Basically, you have to find something to say to get started. 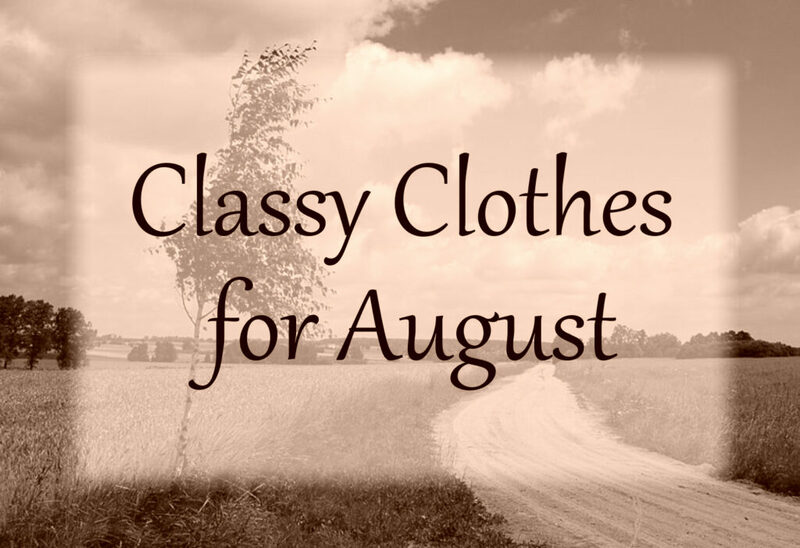 Sometimes, it’s as simple as “Hi, I’m _____.” Other times, it works better to be more casual. I remember sitting next to a woman in an airport for over an hour, wanting to talk to her. I couldn’t think of a single thing to say. Finally, I asked her what time it was. We ended up talking for a couple hours, waiting for our flights to be called. She was a speech therapist and was coming back from Morocco. I learned something about speech therapy, and I also passed my time much more pleasantly than I otherwise would have as I waited for my delayed flight. I like to think she did, too. The Art of Manliness has a great presentation on small-talk strategy here, which applies equally well to women as it does to men. The best way to learn small talk skills is simply to talk to strangers. It’s easiest to do it at events, because you share something with the people there, and it’s usually easy to find something to talk about there. But you don’t have to wait for the perfect situation: there are people everywhere—cashiers, servers, the lady in front of you in line—just waiting to be talked to as a person, and knowing how to do it will make your life richer and more fun, and your efforts to change the world more effective. Not only will it make you more effective, just the act of talking to more people will increase social ties which makes people more motivated to invest in their communities. So, what change to you want to bring about today? What will you do, this month, to make it happen? If you want to have a friend, be a friend. Everyone wants to have friends, and having friends makes you happier and healthier. But fewer people are willing to make the effort to be a friend. Many people are unaware—or try to forget—that being a friend requires work, that it’s a give and take, often with more giving than taking. But though a friendship will always require some effort, sometimes it is harder than it ought to be because we don’t know what we’re doing. Friendship, like any other human activity, can be done successfully or unsuccessfully, well or badly. 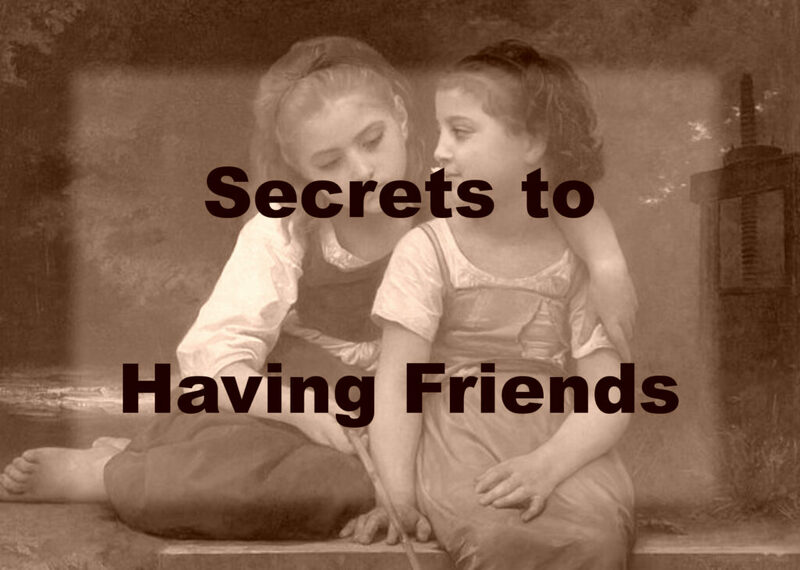 Here are a few secrets to making your friendships deeper, more meaningful, and more lasting. Observe your friend. Try to figure out what your friend likes, what her favorite things are, what she wants in life. 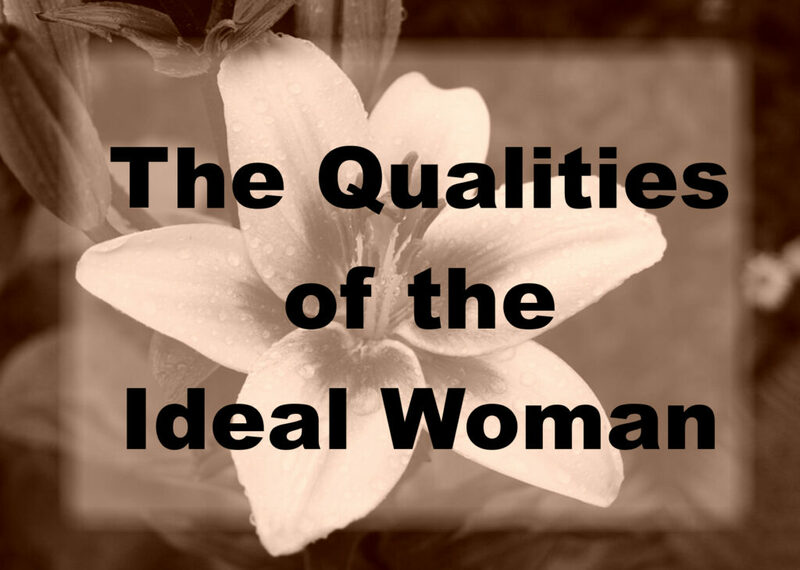 Analyze her moods and her patterns of behavior. Get to know what your friend looks like when happy or sad, and learn to identify triggers. Learn what subjects interest your friend, and what things bore her. Now, some of you might be thinking “Stalker! Creep!” This is not what I mean at all. By no means do I intend to imply that you should read your friend’s diary, listen in on her conversations, read her emails or text messages, or stalk her social media pages. All it means is that instead of thinking only about yourself while spending time with your friend, you think mainly about your friend, and pay attention to what your friend tells you, not only directly in words, but also by reactions, expressions, and emotions. Once you know your friend better, you will be a better friend. Why? Well, what do friends do? They do things together, help each other, talk with each other, enjoy each other’s company, and sometimes give gifts. If you know your friend likes hiking, and you want to go on a hike, then that will be the friend you ask to go with you, not the one who prefers shopping, or craft projects, or painting her nails. If you know what your friend looks like when happy or sad, you will be able to ask the right questions, either to let your friend share her sorrow and make it lighter, or share her happiness and make it greater. You might even be able to tell when your friend won’t be able to handle it if you share your sadness or happiness with her at that moment. You will have more satisfying conversations if you remember what things interest your friend, what things she was doing lately, and what topics bore her to tears. And you will know, if you pay sufficient attention, what things your friend wants, and what she doesn’t want, and thus will be able to avoid the pitfalls of gift-giving. We’ve probably all gotten a gift at some point thought, “What on earth will I do with this?” Observation is the only way to avoid being that friend. In some ways this seems like a repeat of Secret 1, and it is related. We have all experienced a time when we really needed someone to talk to. Someone who would just listen. Now, most of us probably have the idea that listening means not talking. (Your parents or teachers probably told you so.) But it’s only partially true. There’s a lot more to it than not talking. First of all, don’t look at your phone. Look at your friend. Not that you need to stare at her, but look in her direction at least occasionally, and don’t focus on something else, especially not your phone. Most people find it unnerving if you look them directly in the eye for very long, but you do want to “make eye contact.” The solution is to imagine a triangle formed by the eyes and the nose and look at the middle of this triangle. This helps you avoid seeming either confrontational—by looking directly at the eyes—or seeming insecure or aloof—by looking at things other than your conversation partner. Next, don’t just sit there like a rock. Listening is not the same thing as hearing. Hearing is passive, while listening is active. Really listening will involve making noises like “mhmm” at the right moments, making gestures like nodding, and also asking questions. Asking questions is an essential part of listening. Wait for your friend to stop or pause, and if you still don’t understand after listening carefully to what was said, then ask for clarification. It often helps to repeat part of what your friend said to you, and then ask your question based on that. This shows that you really were listening, and that you care. Also, if you friend really needs to talk, do remember that while you may have what seems like the perfect solution to her problem, you might need to wait for her to be done before suggesting it. And, there’s also the possibility that your solution won’t work, and you only think it will because you don’t understand what the whole situation is yet. One more thing: a listening friend needs to be a safe person to talk to. If you are going to go and blab you friends troubles and secrets to the world the moment her back is turned, you won’t be her friend for long. We all know that a friend is always willing to help, and we are usually willing to help others when they ask for it. But if you really want to strengthen a friendship, you might need to ask for and accept help. A lot of people have trouble accepting help, probably because they dislike the feeling of being indebted. But this can be a mistake in two ways. One, you might think that you have a friend when in reality you only have someone who you help. Worse, you might be stunting a real friendship. Benjamin Franklin discovered that often the best way to gain a friend is to ask for a favor. This is called the “Ben Franklin effect,” and has been tested multiple times in various studies. The Ben Franklin effect is thought to be a result of cognitive dissonance. We tend to want our beliefs and acts to match. If they don’t we get “dissonance,” which is resolved only by changing either the beliefs or the actions. We help our friends, and therefore the people that we help must also be our friends. Also, we tend to get a warm feeling of satisfaction if we genuinely help someone. So refusing help can actually be a selfish act, putting our own reluctance to feel indebted over our friend’s desire to be of assistance. This does not mean that you should seek out people who say negative things for the sake of being negative. People like this can be unhealthy to spend time with. A friend who tells you the truth even when it hurts, however, is a gift whose value cannot be underestimated. Lastly, if you want friends, you need to get over the fear of rejection. You might ask someone to do something with you, and she might say no, but then again, she might say yes. Someone might not want to be your friend even if you ask, but no one will want to be your friend if you never ask. This might sound like a lot of work. It is. But every worthwhile thing in life requires work, and friendships—meaningful loving relationships with other people—are perhaps the most worthwhile things in life. Forming more and better friendships will enrich your life as well as the lives of others.